Athletic.Authentic.Wild: A Big Day in the Whitney Zone! A Big Day in the Whitney Zone! Just getting settled in after many many hours on the go. 18 to be exact, but many of those were spent dealing with car logistics and eating dinner. Taylor and I also skied a ton. Whitney-in-a-day was the goal, but we knew it was a long shot. A clearing storm and road complications were our primary obstacles. The post-storm winds made high altitude avalanche hazard too high. 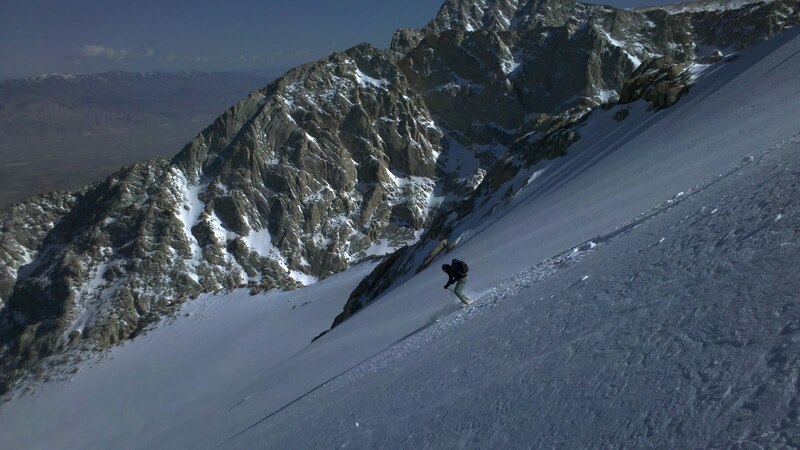 But we adapted, adjusted, and skied the East Couloir of Thor Peak. We had perfect powder snow in this line both of us have checked out in the past. It was a perfect consolation prize, and we toured nearly 7000 vertical feet of fresh snow.